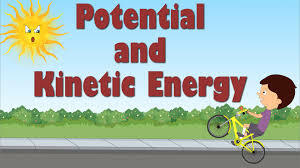 ﻿Click on the pictures and watch the videos we saw in class about energy waves and sound. Do this quizlet to help you study for your science test on Tuesday. Click on the picture for a video to review of why we see color. Remember it is the color that is not absorbed by the object and is reflected back to our eye. Use this Quizlet to study for your Monuments, Symbols, Landmarks, and Memorials test on Thursday. Practice this quizlet to study for your Math Quiz on fractions on Wednesday. Use this Quizlet to help you study for our grammar test on Wednesday. Use the prepositional phrase Quizlet to help you prepare for the grammar test on Wednesday. A parallelogram is a shape. And have the same length. Click the Picture for a link to the Native American Quizlet to use for your test on Friday. Here is a quizlet guaranteed to help you study for your test on Thursday. Click on the Picture to play Super Word Toss! This will help you with Synonym and Antonym Practice. 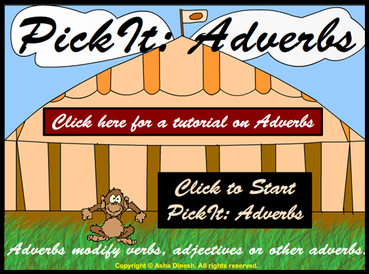 Click on the picture to practice Adverbs. Check out our first music video! We definitely ROCK! Here is our song to help us remember the rounding rules. ﻿We are starting a new unit in math this week. We will be learning about place value. Here is a fun math game on ABC Ya to play so you can practice. Come join us Monday, February 1 as we launch our space unit with STARGAZING!. The Orange County Astronomers are bringing their telescopes for us to check out the night sky. Families are invited. You aren't going to want to miss it! Check out this Study Jam on the Properties of Matter. ﻿We are starting to read Mr. Popper's Penguins and learning about penguins. Here is a fun video to watch about penguins Just click on the penguin picture. ﻿Study this Quizlet to help you with your Social Studies Test on Thursday. ﻿Check out these Quizlets to study for our tests this week! Check out this Quizlet to practice vocabulary this week! We are Reading Buddies with Mrs. Hogan's 1st Graders! Draw yourself and things you like to do on your bag. Bring it Thursday so we can share it with your Pals in Mrs. Hogan’s Class. Compound subject or Compound Predicate? ​Click the button and practice identifying a complete sentence from a fragmented sentence. This week we are learning about verbs. Here is a fun way to remember what a linking verb is. Welcome to third grade. I have been praying for our class all summer, and Ms. Enquist and I are excited to be your teachers this year! We are going to have a great time learning together. Our classroom theme this year is Superheroes. Here is a fun video to start our year! Congratulations to Mikey Patton! He earned this week Character Trait Award of Orderliness and is Student of the Week!